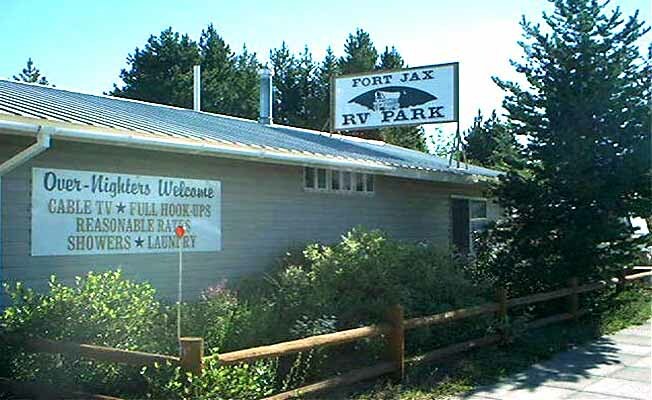 Fort Jax RV Park has 19 quiet, well shaded spaces. All sites have water, sewer, 20, 30, 50 amp electric service and cable TV. We also have clean restrooms, showers and laundry. Reservations are recommended, but not required. Located across the street from the Running Bear Pancake House and less than one block from the Comfort Inn Motel. Walking distance to town. Nearby attractions include The Grizzly Discovery Center, Imax Theater, Museum of Yellowstone, Playmill Theater, Hebgen and Quake lakes, several blue ribbon trout streams and Yellowstone and Grand Teton National Parks. Fishing, float trips and tours of Yellowstone National Park are available.